A cardiac doctor is demanding action as the wait list for cardiac surgery in Manitoba has doubled and cancellations are at an all-time high amid a shortage of coronary care nurses and beds. A cardiac doctor is demanding action as the wait list for cardiac surgery in Manitoba has doubled and cancellations are at an all-time high, amid a shortage of coronary care nurses and beds. The wait list for elective heart surgery, which is typically between 40-60 cases, has jumped to 102 in the past few months. Last week, between 11 and 12 surgeries were cancelled, as doctors say there aren't enough cardiac intensive care unit nurses to care for patients post-operatively. "Last week we had we had to cancel 75 per cent of all the heart surgery in Manitoba. And we repeatedly have to have broad-scale cancellations and protracted delays in patients getting access to heart surgery," said a cardiac doctor at St. Boniface Hospital, who spoke to the CBC on the condition of anonymity. 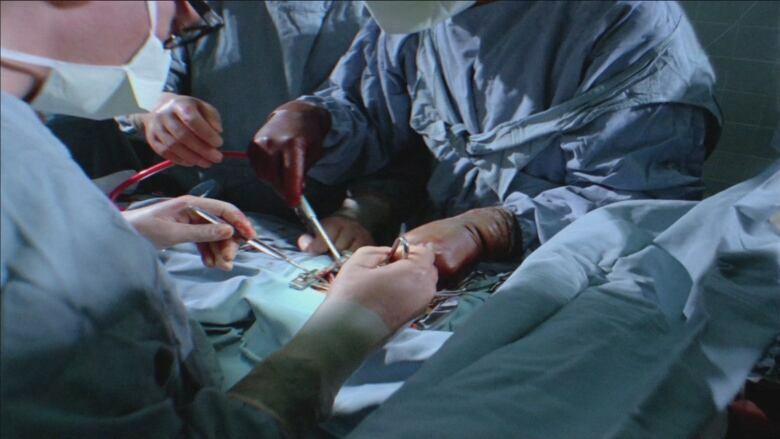 "The waiting list for heart surgery has more than doubled in the last six months. And there are many days where [the team] doesn't operate on anybody." Statistics provided by the Winnipeg Regional Health Authority show 104 cardiac surgeries had to be rescheduled between November 2018 and February 2019, an average of 26 per month. The next-highest four-month period was between January and April of 2016, when an average of 25 surgeries had to be rescheduled. According to a spokesperson for the WRHA, the baseline number of nursing positions in both critical care units, one of which all cardiac surgery patients go to, is 79. The vacancy rate is currently at 22 per cent, or 17 positions. The doctor said historically, the cardiac operating room team typically used to do five or six open-heart procedures a day. But now, between 25-40 cases are being delayed each month and they barely do three surgeries a day. The cardiac critical care ICU, which has 14 beds, consistently falls short of the 14 nurses required to fill a 1 to 1 nurse-to-patient ratio, the doctor said, and some of those beds are occupied long-term by extremely ill patients. "We have patients coming into the hospital sometimes three or four times from home expecting the heart surgery that day, just to have them turn around go home come back in another week and then repeat the cycle," said the doctor. "It's just complete chaos in terms of when patients are getting scheduled, if they get their surgery done when they get their surgery done." He said although the situation is complex, the root cause is believed to be a change in the schedules and job demands on cardiac ICU nurses as a result of consolidation changes implemented by the WRHA as part of the health-care system overhaul. Nurses in the critical care units at St. Boniface saw their rotations change, and face increased pressure from having more patients with the closure of other ICU's across the system, according to the Manitoba Nurses Union. "It's just a very unstable situation," the doctor said. "And the worry amongst myself and my colleagues here is that there's really been no attention directed towards this. And there is no meaningful end in sight." WRHA president Réal Cloutier said he's aware of the problem and the authority is working to address it. "Our clinical leadership is working with St. Boniface and the cardiac program to problem solve this, and in fact, they're talking on a weekly basis in terms of assessing the root cause of the situation and what measures can be taken," said Cloutier. "There's no question the wait list has grown," he said, adding the number of patients waiting is different from those fit and ready for surgery. He said this week, 102 are waiting, with 63 patients fit and ready for surgery. In October, he said, the wait list was closer to 60. He said all of the 33 recent graduates from Winnipeg's Critical Care Nursing Education Program — which is a six-month program for nurses with at least one year of acute care experience — accepted positions in critical care. Twelve of the graduates accepted positions within St. Boniface cardiac program. "We don't like surgical cancellations," said Cloutier. "We're pretty proud of the fact that we actually have avoided surgical cancellations in many areas in the past year, so obviously we're drilling down to understand the root cause of what's going on." He said the WRHA encourages nurses who are interested in critical care to take the education and move into those roles.